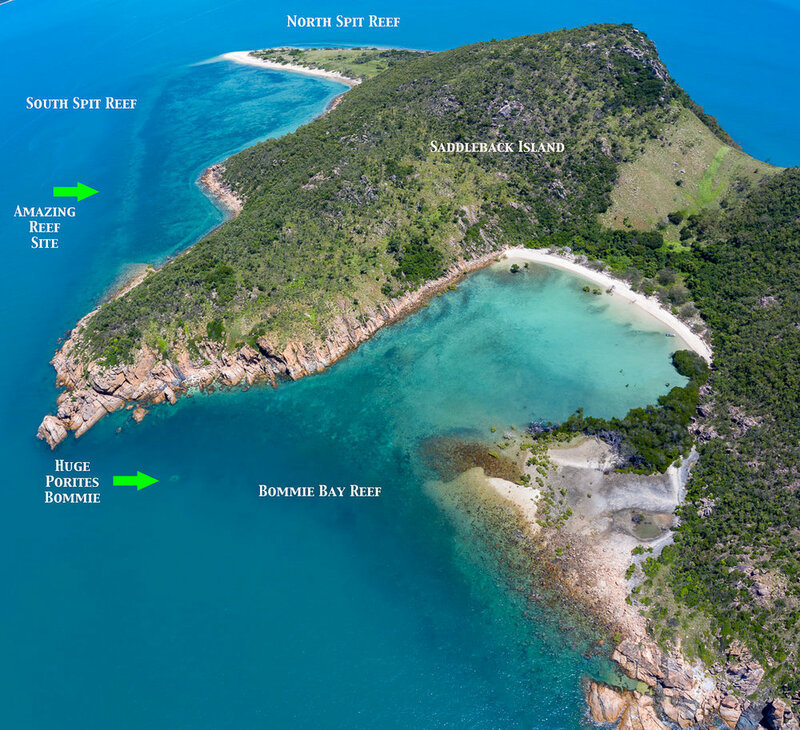 We often dive on Saddleback Island, only a few kilometres from our home here in Hydeaway Bay, but have only once briefly visited the reef on the south side of the spit. 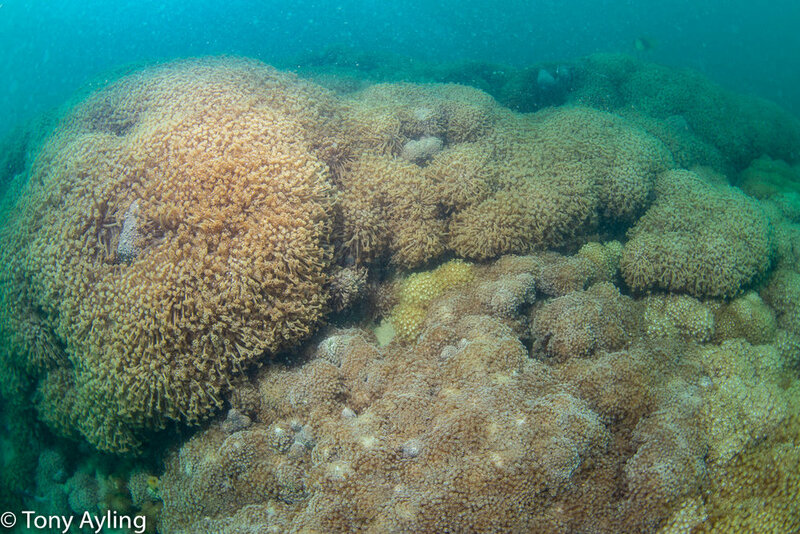 Last week I did two long dives on this reef and was amazed at the healthy state of the fringing reef. 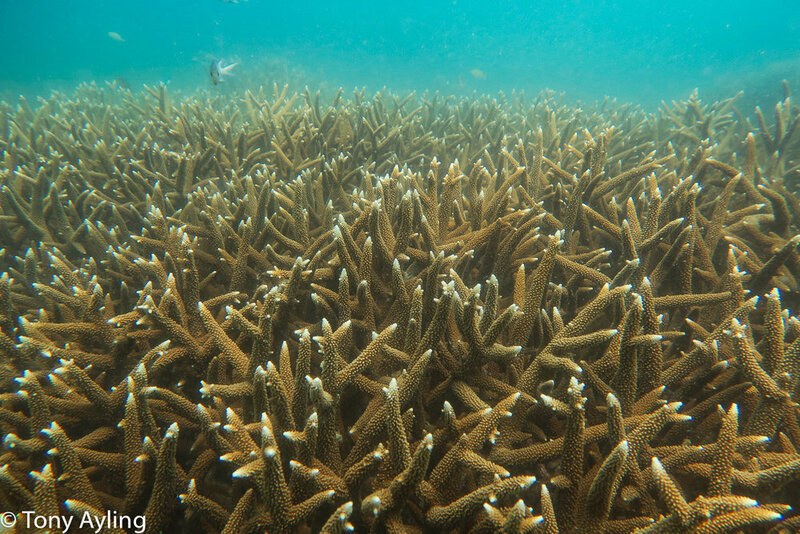 It looks like the reef was only slightly damaged by Cyclone Debbie along the shallow reef edge and the reef slope coral is lush and healthy. 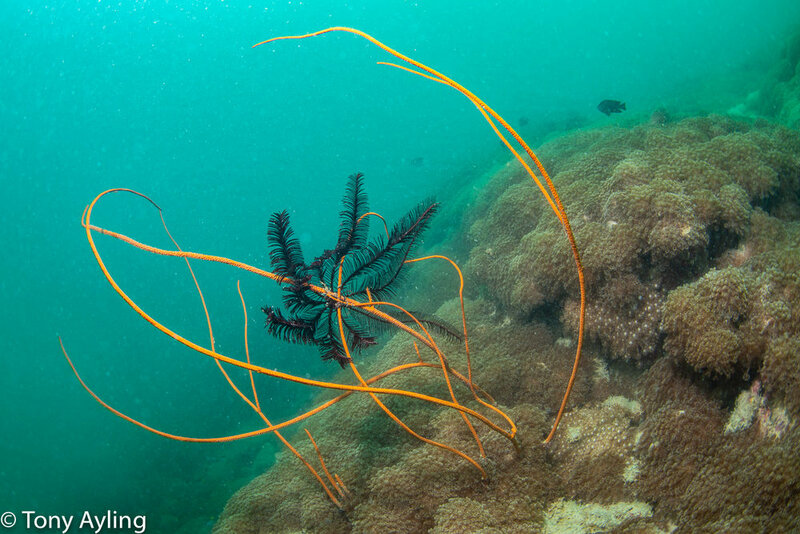 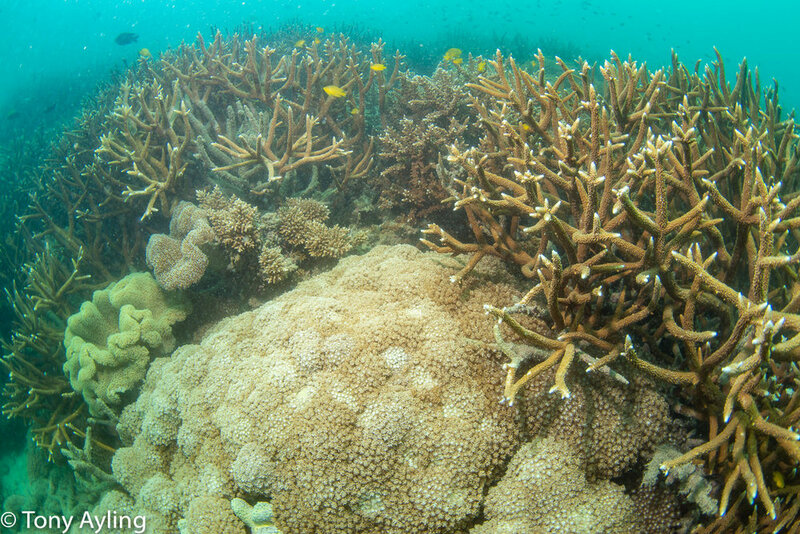 On the shallow slope were huge stands of staghorn Acropora corals but the deeper slope, from about three down to eight metres depth, was dominated by continuous, undulating colonies of Goniopora. 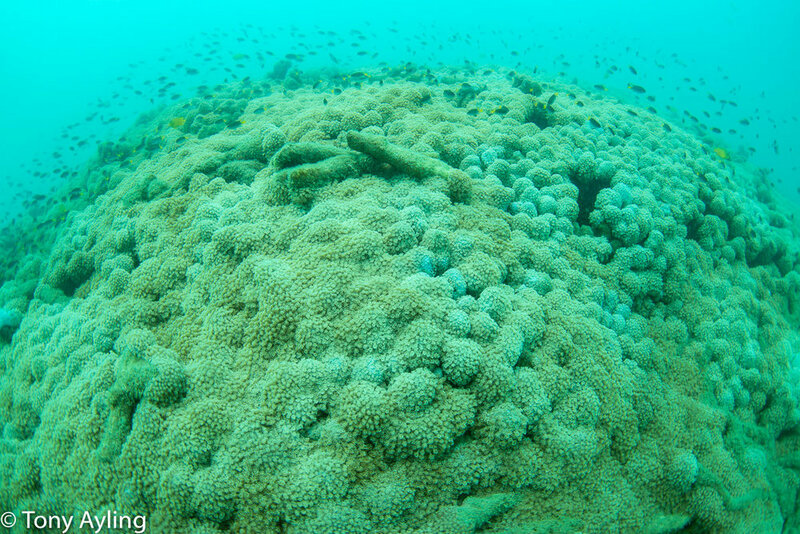 There were at least five different species of Goniopora but all mixed together into what looked like a single colony over 100 metres along the reef and 20-30 metres across. 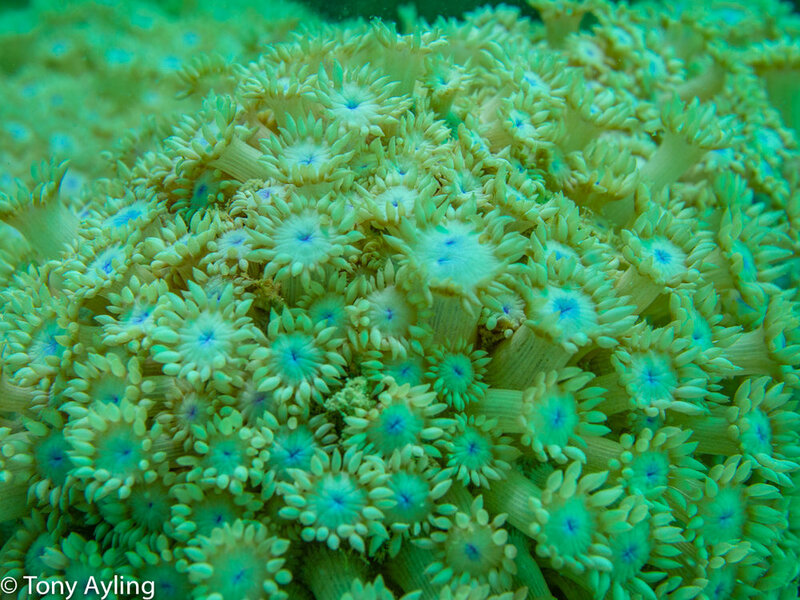 There were a mixture of other corals along the upper edge of the Goniopora stand and some soft corals but most of the slope was dominated by this single genus of coral. 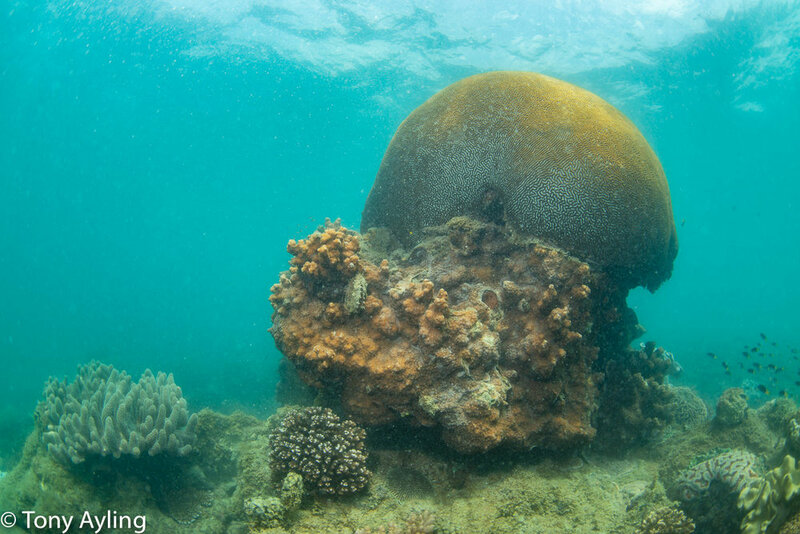 I have often seen large colonies of Goniopora on fringing reefs but this was much bigger than I have seen before and I didn’t explore it’s full extent. 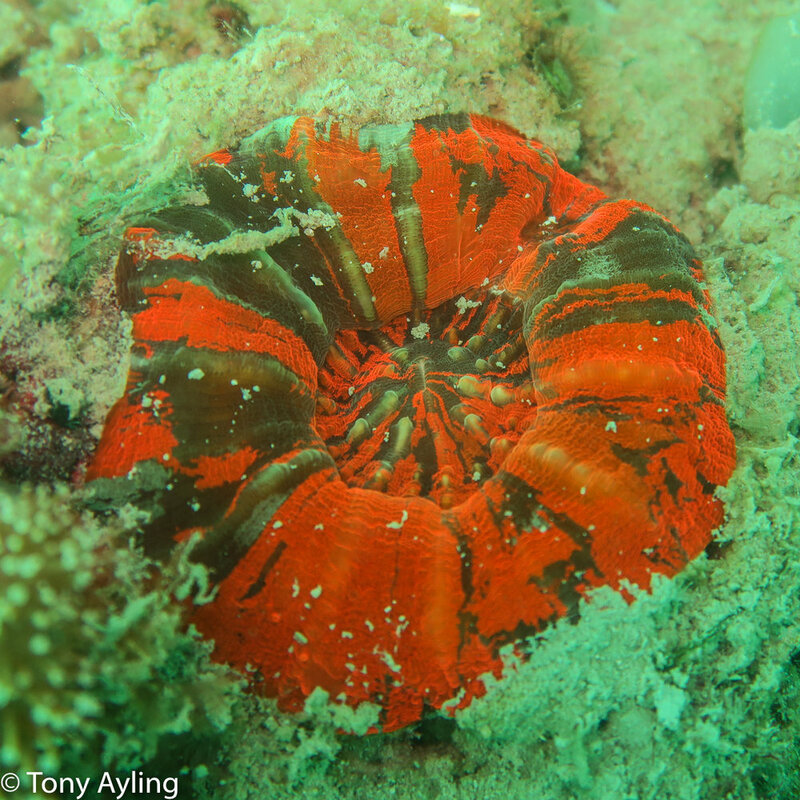 It always amazes me what we find when exploring coral reefs especially on fringing reefs that are often very turbid. 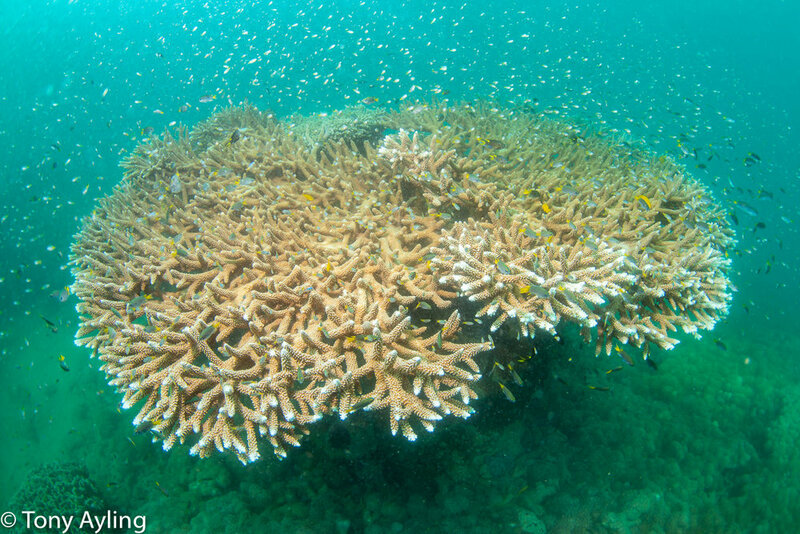 The reefs on Saddleback Island often have less than two metres underwater visibility and only reach ten metres visibility very occasionally and yet they support wonderful coral reefs. 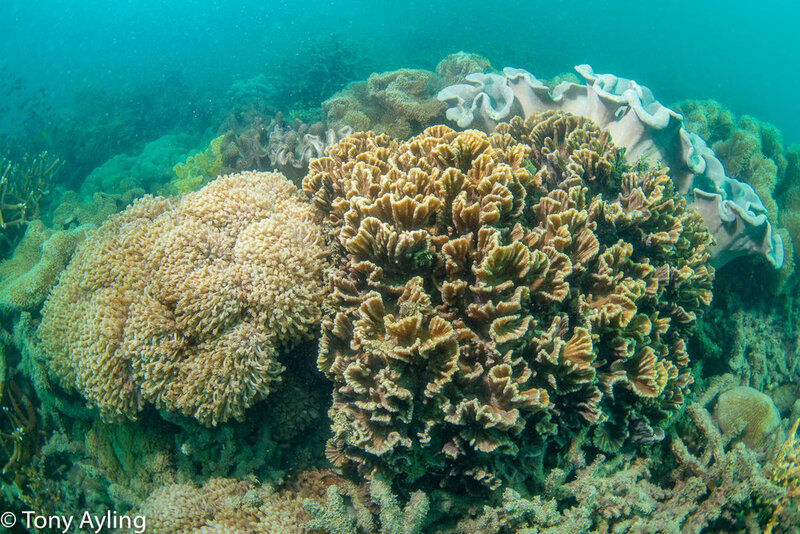 It is hard to convey the size of the coral colonies when the water vis is only about four metres but I’ve attached a few pictures here to give you some idea of this amazing fringing reef super-site.